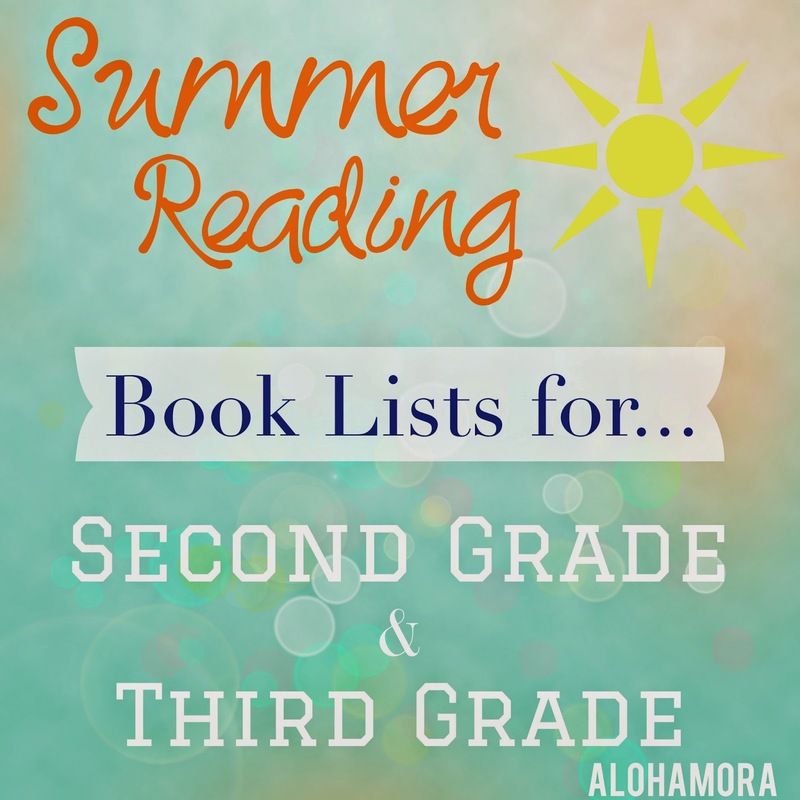 Last week I gave y'all a Summer Reading List for kids going into Kindergarten and First Grade. The research hasn't changed since last week. There are still numerous studies that show reading to your kid and with your kid will help them with reading, writing, verbal language, vocabulary, and every other aspect of their life. Seriously, reading is HUGE! Many, many teachers will tell you that if you can keep your child reading during the summer it will help them innumerably in the coming school year. Kids lose a lot of knowledge (in all areas) during the summer. If you can keep them reading you will be one step ahead. A good way to keep them reading is to have good books. The books below are all fabulous, and I promise you'll enjoy them as well. Plus, they are great for any reluctant readers you have out there. You can read with your child or to your child; both ways will benefit them. If you want to read a longer novel to your child then by all means go ahead. At this age your child could handle a longer novel being read to them. In the coming weeks I will post more chapter books/novels for the older kids. Look to a year or two ahead of your child for a good longer chapter book to read to them. Whatever you do, just keep them reading! Happy soon to be Summer Reading! A fun picture book that both boys, girls, and adults will enjoy with a sweet story about friendship. There are a couple Scaredy Squirrel picture books in a small series. They are all hilarious; they may be a little more wordy but funny for kids and adults. Plus, this age can handle a little more wordy. As fair warning some kids may not like the pictures in this book. I do think the story is fun and the message to be who you are and not give into peer pressure is a valuable one. This picture book is loved by many kids and adults. It is a well written alphabet type book (tho not just an alphabet book). Bad Kitty also has a great chapter book series for early readers. Fans of Bad Kitty the picture book will enjoy the chapter book as well. This early/beginning chapter series is especially good for boys and introduce kids to the mystery genre. Many girls will read these "boy" books as well. Another beginning chapter series that boys especially love, but girls do too. These books are fast reads, but they are fun and really boost a kids reading confidence. This beginning/early chapter series is well written with beautiful pictures as well. It is a fabulous series, and I try and get both boys and girls to read it. However, one of the books in the series has the pig dressed up like a princess. That turns a lot of boys away. Therefore, most girls love this series. This fun chapter book has a couple books in the series. Girls will enjoy this book more b/c the main character is a girl. Clementine is a fun loving girl that has some silly adventures on the way. Great book for this age. Maze of Bones is the first in the 39 Clues series written by numerous authors (all great authors mind you). It's a great action type book that both boys and girls really get into. I do know more boys that have read and prefer to read the books, though as a girl I thoroughly enjoyed them. I posted about this book before here. It's a fabulously funny book, and series, that boys or girls who are fans of Diary of a Wimpy Kid will enjoy as well. This math concept book is a fun read that will help visualize how big that number really is. This book is enjoyed by boys, girls, and math or non-math loving students alike. There is nothing wrong with a child who can read a chapter book to read a picture book. This picture book is funny with very detailed and hilarious pictures by Steven Kellogg. Another well written picture book that usually girls will be the ones to read. Besides a fun story with great pictures this story has a great message about resolving conflicts and apologizing which is great for this age group. A classic picture book with hilarious pictures and text that this age group absolutely loves. It has a good lesson to teach as well. Happy Reading! I'm off to finish a book right now. Though before I do, a little soapbox...I honestly believe that everyone can come to enjoy reading. It just takes the right book to get the fire going. If you have a reluctant reader these books are all fabulous and can possibly help light that fire. Don't worry about the reading level of the books. Just find a book that they can enjoy. Reading a book to/with a reluctant reader is a good way to help kindle the fire of reading. Holler if you have any questions or need more specific help.